Before they were the most played tracks in your iTunes, they were singing and dancing onstage, from LA to London to Broadway. Here’s six artists who got their start in musical theatre. Arguably one of the most popular singers today, Ariana grew up as a theatre kid and at age 15, landed a role in Jason Robert Brown’s Broadway musical 13. She then went on to star in the Disney TV Show Victorious, getting her a record deal, which led to the debut of her album Yours Truly in 2013. Before he was belting his heart out on American Idol, Adam Lambert was belting it to the rafters as the heartthrob Fierro in the touring production of the musical Wicked. 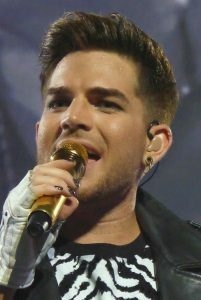 Lambert became a national favorite for his theatrical performances on the eighth season of American Idol in 2009, finishing the show as runner-up. 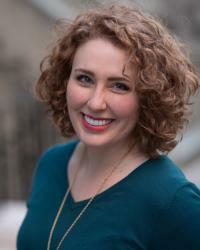 The “Price Tag” and “Bang Bang” singer got her start in the West End Production of Andrew Lloyd Webber’s Whistle Down the Wind. Growing up in England, she attended the BRIT School for performing arts. Her dramatic range and piercing tone would make for a killer Elphaba performance, amiright? While she never appeared onstage professionally, Stefani Germanotta attended NYU’s prestigious Tisch Cap21 musical theatre program before dropping out to pursue her musical career as Lady Gaga. Her love of drama has been evident throughout her colorful career- from her outlandish costumes, to her lavish music videos and outrageous stage performances. She’s undoubtedly an incredible singer and made a great choice for the 2015 Oscars tribute to The Sound of Music. 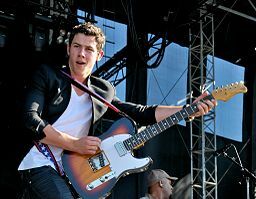 Before Nick Jonas was singing “Jealous” and “Close,” he was singing “One Day More” in the Broadway company of Les Miserables as the loveable street urchin Gavroche. He also appeared in Beauty and The Beast and Annie Get Your Gun before being launched to worldwide fame as one-third of The Jonas Brothers. Knowing this, his casting as Marius in the West End and 20th Anniversary Concert of Les Miserables in 2010 makes a whole lot more sense. You may consider Anna Kendrick a stretch on this list of pop stars, but as the singer of “Cups” from Pitch Perfect, the song that sold over 2.5 million downloads, as well as a featured vocalist in the Trolls movie and soundtrack, Kendrick is no stranger to the world of music. In fact, Kendrick was nominated for a Tony Award in her first ever professional theatre gig- the 1998 production of High Society on Broadway. Not too shabby, Anna. Not too shabby. The next time you hear one of these chart-topping vocalists on the radio, remember they got their start under a different kind of spotlight. Now, are you thinking twice about auditioning for the school musical?! Who knows where it could lead you!